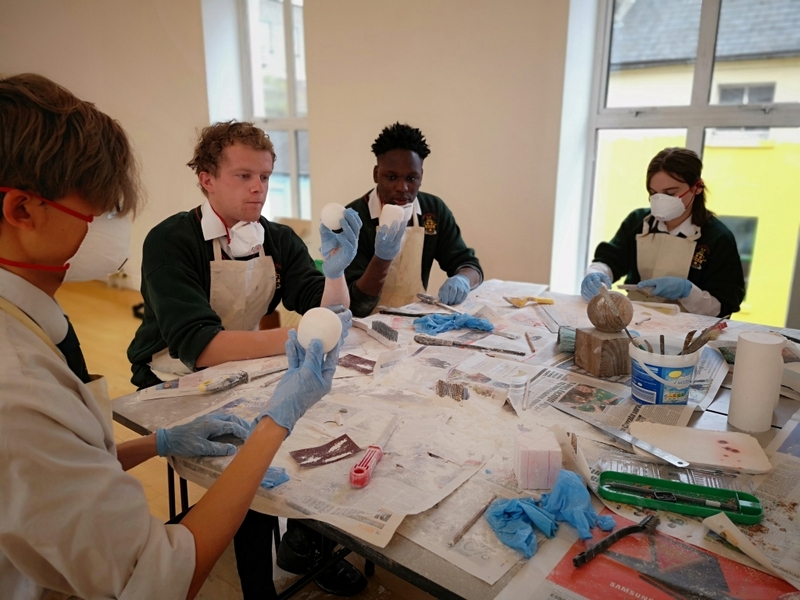 The 6th year students attended a workshop in the Droichead Arts Centre with Artist & Sculptor Nuala Early. 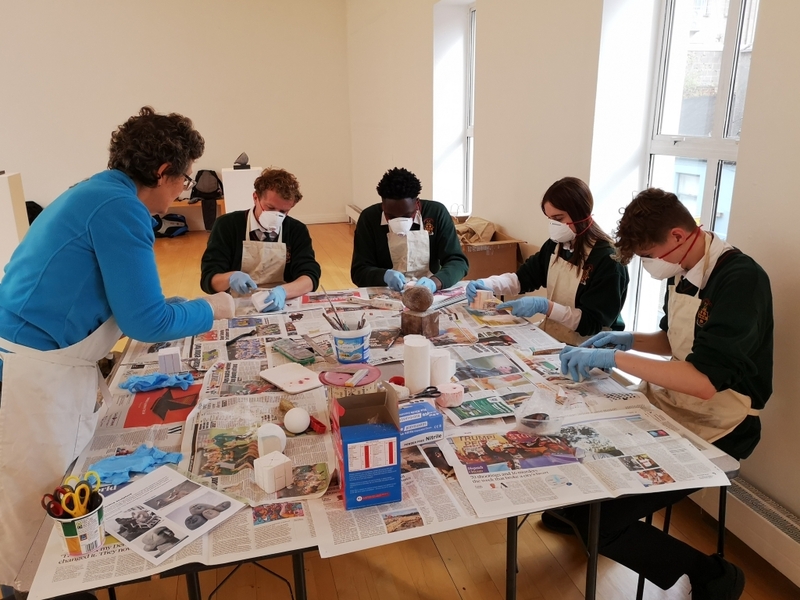 Nuala delivered an excellent workshop about stone carving through sculpture reduction and explained her process in the making of the exhibition “Labour of Love”. The 6th years then had an opportunity to put the skills they had learnt into practice.